So Season 9 is over. This season has been one big rollercoaster with many ups and downs, but I can proudly say, this season has gone out with a bang. The incredible emotional episode was one to remember as we see a triumphant ending from Clara and Me. 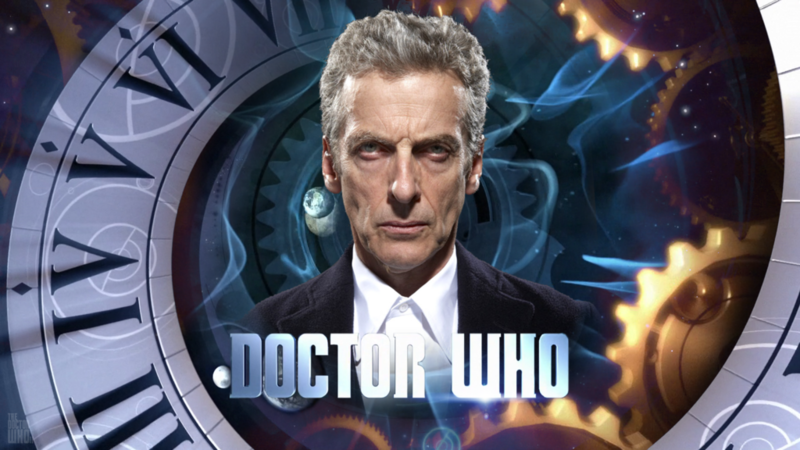 I would say that “Hell Bent” was the best episode of series 9, with “The Magician’s Apprentice” and “The Witch’s Familiar” shortly following. Ignoring “Sleep No More”, this season was full of incredible episodes, and I would argue that this season was the best since the departure of the 10th Doctor. So surprise, surprise… Clara’s alive… Well for now anyways. Her death is a fixed point in history and has to happen eventually but right now, she’s more or less immortal and can do whatever she likes until she literally has to go back and face the raven. After that triumphant ending of Me and Clara flying off in their very own Tardis together, many fans across the globe have been screaming from the hilltops for a Clara/ Ashildr spin off… Will we get it? Here at Ink n Toner UK, we hope so! All we know here at Ink n Toner UK is that “Hell Bent” finished season 9 on an incredibly satisfying note, and leaving us wondering what this new Doctor, who has forgotten all about Clara, has in store for us at Christmas with River Song. At the beginning of the episode, we’re led to believe that Clara has no idea who the Doctor is, and the Doctor is telling her all about what happened. Leaving us feeling bitter-sweet throughout the whole episode, much like when 10 visited Donna once her memory had been wiped. However, there was a reversal which left those watching feeling even more bitter-sweet. Turns out Clara actually was the one who remembered the Doctor, and he had no idea who she was. This left viewers feeling their heartstrings being pulled as Clara was really the one who wanted to see the Doctor one last time, rather than the opposite. Many fans were left heartbroken, even us here at Ink n Toner UK. Another thing which should be mentioned is that the Doctor went through a 4 billion year nightmare, just to save Clara from certain death. He broke all his own rules on time travel, all for Clara, which in it’s own way is incredibly sweet, yet left some fans frustrated that the Doctor let his emotions get the better of him. He knew Clara’s death was fixed in history, yet he risked fracturing time itself (?!?!?) just to save (?) her, yet he somehow got away with it. Another thing we learn about, or in this case more like we don’t learn about, is the Hybrid. Will we ever know who or what the Hybrid is? Half Time Lord, half Dalek? Half Human, half Mire? Half Time Lord, half Human? Half Doctor, half Clara? Has the Doctor become the Hybrid? Does it really matter? It didn’t really seem to matter that much to the Doctor so should we just forget about it? The episode, as a whole, was poetic and beautiful, leaving viewers across the world heartbroken. Want to celebrate this incredible finale with us here at Ink n Toner UK? Well we’re printing off this awesome Peter Capaldi poster whilst awaiting the Christmas special. Why not do the same?! Need ink or toner cartridges to print out your Doctor Who poster? Well here at Ink n Toner UK, we’re dedicated to providing you with the ink and toner products you need for the most affordable price. Click here for ink cartridges and click here for toner cartridges. Click the image below to print out your Doctor Who poster!